Start here! 6 great sessions covering skills and essentials to be an effective youth worker… just take a look below! If you’ve been serving teenagers for 20 minutes or 20 years, you can always benefit from some solid, practical youth ministry training. All effective leaders are learners and if you want to continue to improve and develop as a leader you must continue to learn! At DYMU, we’re both happy and honored to help in your learning pursuit! 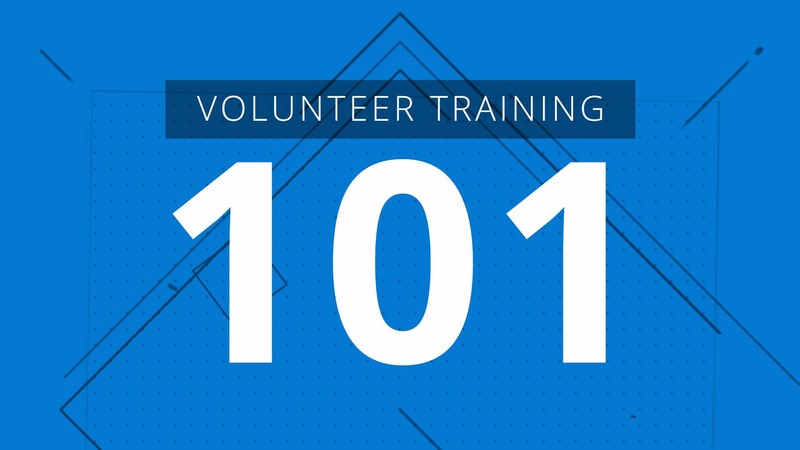 This first course (101) is PACKED with essential topics that will ADD to your existing foundation and assist you in being more successful in your ministry. We’ll start with some essential basics and walk you through the needed character qualities seen in all good youth workers. We'll move to specifics on remembering names, and also give you some insight into understanding and developing your own style of relational youth ministry. If you’re a rookie or a veteran, we've made it easy for you to get training as well as the ability to interact with the material. Each course has a downloadable outline to help you follow along... and, if you're really ambitious... we've got some interactive questions/evaluations/reflections that you can fill out to recieve a Certification from DYMU. If you’re a veteran, you already understand that healthy leaders must continue to grow and learn, and we’re proud to know there are leaders like you who want to master some youth ministry essentials and share your wisdom with others on your team. 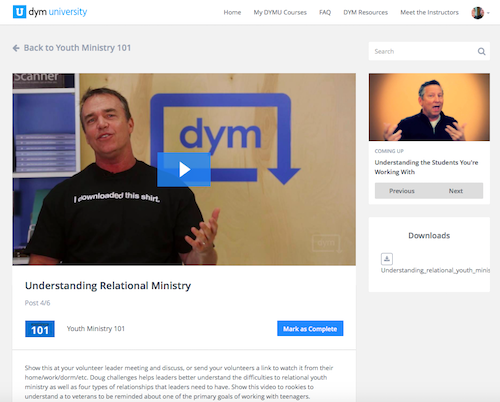 Each session with the Youth Ministry 101 course includes: (1) 10-minute training videos, (2) a downloadable outline, and (3) a fun, interactive, quiz and reflection platform (for those who want to turn this into a Youth Ministry Certificate). It's learning made easy... at your speed. It’s time to get more training – sign up today!